While Fox's The Masked Singer has garnered critical praise and impressive viewership numbers in its short time on air, the South Korean series the show is based on, King of Mask Singer, is still going strong. This past weekend saw the throne transition to a new singer, and her disguise is a face nearly every comic book fan will be familiar with -- Marvel Comics' Black Widow. Specifically, Scarlett Johansson's portrayal of the character from the Marvel Cinematic Universe. 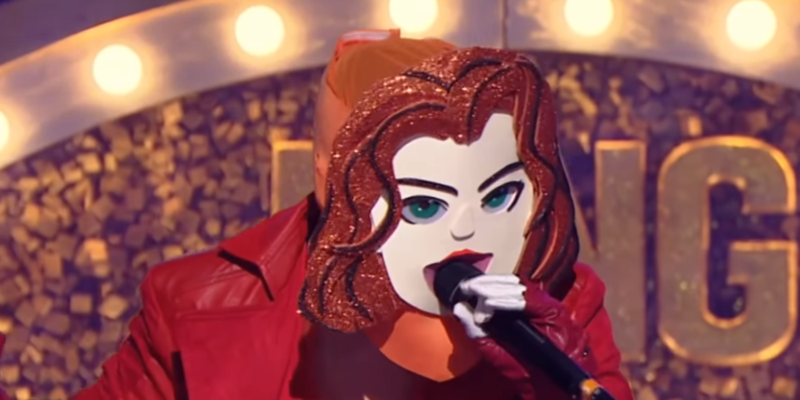 King of Mask Singer's format is slightly different from the American version. Rather than a season-long competition culminating in weekly eliminations, the Korean version invites a new batch of disguised singers every other week in a tournament-style singing competition that ends in one person going head to head with the masked king or queen. This weekend, that contestant was Black Widow, who defeated the reigning king, Ken the Eagle, who turned out to be Lee Hyun, former member of the band 8Eight. Black Widow began her impressive run by going up against another Marvel staple, the Incredible Hulk (Choi Dae Chul), in a duet. After that, she defeated indie singer Yun Ddan Ddan, who was disguised as Seoul Mouse and Country Mouse. Finally, Black Widow went up against Metal Boy From the Underworld, who turned out to be Vixx vocalist Ken. As the new queen, the singer under the Black Widow mask will need to defend her throne in the coming weeks from new challengers, lest she herself be dethroned and her identity revealed. To get an idea of the kind of performances that put her on the throne, check out the video above of her singing Mamamoo's "You're the Best" in her second round.